The Public Poll Is Open. You Can Vote And Participate To Our Decisional Process! In Utopian.io we are trying to make the decisional process public and democratic. We have just opened a poll for proposals/questions regarding changes to the Utopian Rules and changes to the platform. To make the decisional process public and democratic in the short term, we are using Discord. Soon we will implement a public voting system. This channel will be read-only until all the questions of the poll will be proposed by the Utopian @Overseers. The proposed questions/changes are the result of discussions we do publicly every 2 weeks in the voice channel BIWEEKLY. Each question/proposal of the poll will have the following format: ## Q-XXXXX and a message, where XXXXX will be replaced by a unique/random ID. Once this channel will be writable for everyone, the poll is opened. The poll starts with following format: # UTOPIAN POLL mm/dd/yyyy STARTS @everyone. Read through all the given proposals/questions and either upvote/downvote the proposal. You can only use the reactions :thumbsup: or :thumbsdown:. Any other reaction will be considered as :thumbsup: and it is highly discouraged. If you wish to add a comment for a change/enhancement for one of the proposals/questions given by the @Overseers, you can do it by adding your proposal in plain English just after the question ID. E.g. If you want to propose a change/additional detail, you will write a chat message that will look like this: "Q-XXXXX This is my custom message and this is the change/enhancement I am proposing." You can and should also upvote/downvote changes/enhancements proposed in the chat by any other user. If a proposal made by a user earns enough upvotes (Read the rules below) it will be actually implemented or planned. You can only upvote/downvote a proposed question one time and only one time. Any other additional vote or reaction will not be considered. You can write a comment to edit/enhance a single proposal only one time and only in one single message for each Q-XXXXX. Any other message won’t be considered and most likely deleted from the chat. If you propose a change you must collect at least 15 upvotes in order for your suggestion to be implemented, and in any case the number of upvotes must be at least 51% of the total upvotes/downvotes you got for the proposal. You can’t refer to any other suggestion made by any other user in the chat. You must always provide the full picture and how YOU intend to change/enhance one of the proposals made by the @Overseers. When you propose a change/enhancements you must always refer to one of the given proposals/questions by the @Overseers. 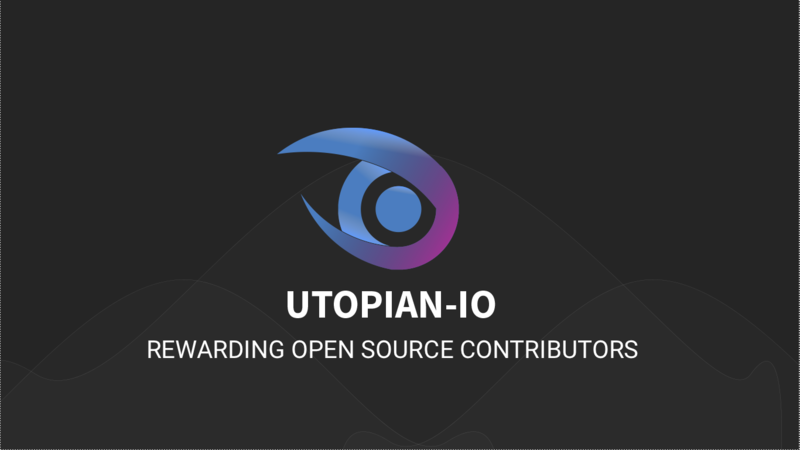 If you wish to give ideas regarding any other topic, use Utopian.io and will be considered/discussed in one of the next BIWEEKLY conferences. We are made of developers, system administrators, entrepreneurs, artists, content creators, thinkers. We embrace every nationality, mindset and belief. Utopian.io is the first Community-Driven Witness. Every decision will be taken as per the consensus of the entire community using our public Discord server and soon via a public voting system. May I ask why Discord is used for that? I know it's just a temporary solution, but in the spirit of open source and decentralisation the Matrix protocol would be IMHO the more logical choice, or Rocket.Chat if you would have something that's more in the spirit of Slack. I think mainly because many people of the community are already in Discord, but I will for sure have a look! Thanks! While I figure out the poll on Discord, I think it is time to vote @utopian-io for witness. I have seen enough to trust Utopian.io as my next witness vote. Heading over to the witness page. There is great information, I am very interesting to join. I hope I can do it soon as possible. Thanks for open source and democratization. Good luck. Does uio have to be synced to GitHub? May I ask what is the criteria to become a moderator, what kind of commitments are expected to moderators, and how to apply? thanks.